She had believed that my wild poets passion for her would make me her slave; and that, being her slave, I should execute her will in all things. The Lifted Veil was first published in Blackwoods Magazine in 1859. A dark fantasy woven from contemporary scientific interest in the physiology of the brain, mesmerism, phrenology and experiments in revification it is Eliots anatomy of her own moral philsophy - the ideal of imaginative sympathy or the ability to see into others minds and emotions. Narrated by an egoccentric, morbid young clairvoyant man whose fascination for Bertha Grant lies partly in her obliquity, the story also explores fictions ability to offer insight into the self, as well as being a remarkable portrait of a misdeveloped artist whose visionary powers merely blight his life. The Lifted Veil is now one of the most widely read and critically discussed of Eliots works. 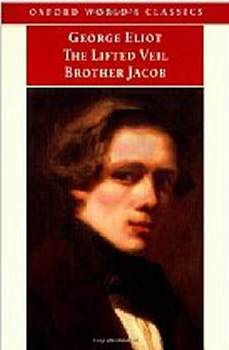 Published as a companion piece to The Lifted Veil, Brother Jacob is by contrast Eliots literary homage to Thackeray, a satirical modern fable that draws telling parallels between eating and reading. Yet both stories reveal Eliots deep engagement with the question of whether there are necessary truths independent of our perception of them and the boundaries of art and the self. Helen Smalls introduction casts new light on works which fully deserve to be read alongside Eliots novels.